ASCE has honored V. Amarjit Singh, Ph.D., P.Eng., C.Eng., PMP, F.ASCE, with the 2019 Construction Management Award for innovation and research aimed at improving construction around the globe. Singh is professionally recognized in India, the United Kingdom, Canada, and the United States. In his own words, his research experience has covered “everything engineering and construction.” Among other topics this means mitigation of wave energies inside harbors, sensor installation under airport runways, hemisphericity, earned value analysis, and safety in rock excavation. The work has been undertaken all over the world, including places like the Bahamas, Tonga, Sri Lanka, Netherlands, Mexico, and South Africa. 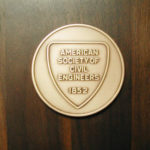 He has been very active in ASCE, currently as a Fellow, but he also stands out for starting a new ACSE journal in 2009, the Journal of Legal Affairs and Dispute Resolution in Engineering and Construction. This has created a platform for the publication of papers on the salient issues and is of general benefit to the construction industry. Singh has produced a library of publications that almost requires its own librarian. His reach would seem to be outside the normal curve, even for an engineer. One favorite article title is “The Scandalous Contract of Venice” (Journal of Legal Affairs, May 2010). Many enjoy the nontechnical nature of some of his titles, which bely the fact that the papers indeed seek to resolve major engineering challenges. At least as telling as these accolades is the time Singh finds to mentor the younger generation as faculty adviser for the student chapters of Engineers Without Borders, AACE, the Project Management Institute (PMI), and others. The Construction Management Award is presented to a member of the Society who has made a definite contribution in the field of construction management in general and, more particularly, in the application of theoretical aspects of engineering economics, statistics, probability theory, operations research, and related mathematics-oriented disciplines to problems of construction management, estimating, costs accounting, planning, scheduling, and financing.